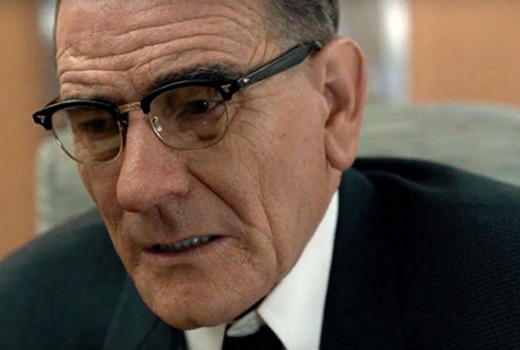 Upcoming HBO film All the Way, starring Bryan Cranston as Lyndon B. Johnson will air on Showcase later this month. Based on Robert Schenkkan’s play of the same name, it also features Anthony Mackie, Melissa Leo, and Frank Langella. It will air a week after its US debut. Based on the Tony-Award-winning play a behind-the-scenes look at President Johnson’s (Bryan Cranston) tumultuous first year in office, ‘All the Way’ follows him as he takes the oath after President Kennedy’s assassination, copes with the escalation of the Vietnam War and launches his landmark civil rights bill. Sunday May 29 at 8.30pm on Showcase. If, for some reason after watching the trailer you get a Frank Underwood vibe, that’s because the writer’s took some LBJ inspiration while creating Underwood. But this looks great.